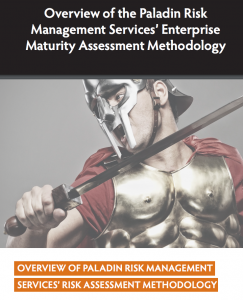 Get the maturity of your risk management program assessed by Paladin Risk Management Services. 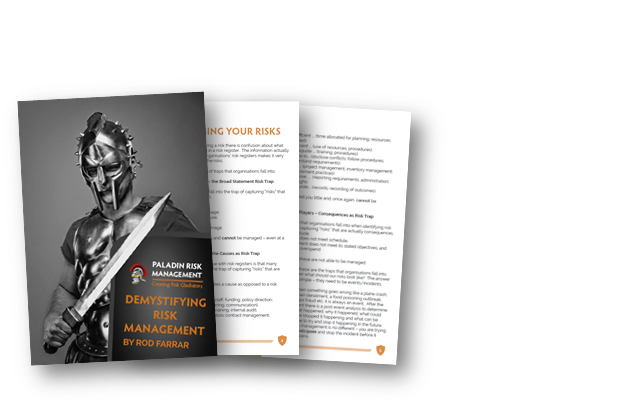 The Paladin Risk Management Services’ Risk Assessment Methodology provides the capability to not only compare an organisation’s current risk management capabilities against those considered ‘best practice’ but also to track improvement in their risk management capabilities over time. The methodology is comprehensive and repeatable and ensures the organisation’s risk management efforts are getting the maximum return on investment. Embedding risk management holistically into your organisation is about creating a progressive organisation. 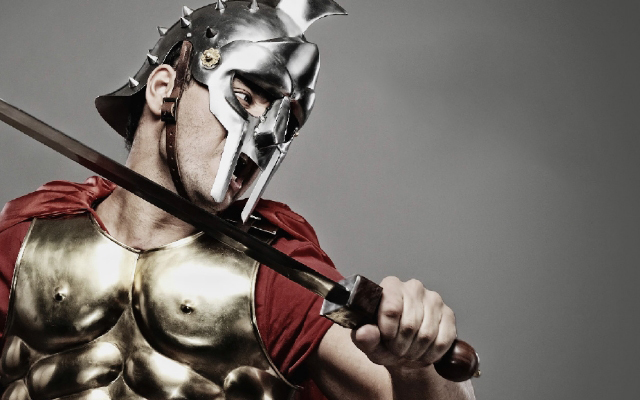 An organisation can’t grow without taking risks and it cannot innovate without taking risks. 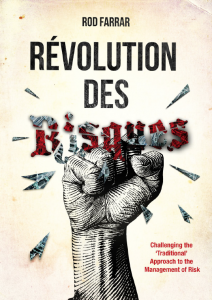 In my latest E-book ‘Revolution des risques’ I challenge the ‘traditional’ approach to managing risk plus, I help you to identify risk, evaluate it, treat it and effectively review it.